In the upland region of Southern Peru, there is a volcano by the name of Huaynaputina which to this day remains one of the largest ever to erupt in South America. It exploded on February 19th, 1600, and is recorded as the largest volcanic explosion ever in South America. However, studies have shown around the world that this volcano indeed altered the climate and took place during a solar minimum. Scientists now believe that its eruption had a devastating effect around the world both in Europe as well as in China and Korea. This impacted the agriculture and further the contagion cycles from disease. In fact, the Great Famine in Russia was caused by this eruption. The Russian famine of 1601–1603 was Russia’s worst famine in terms of a proportional effect on the population. More than two million people starved to death which was one-third of the Russian people. The famine compounded the Time of Troubles and weakened Russia allowing it to be invaded by the Polish-Lithuanian Commonwealth. 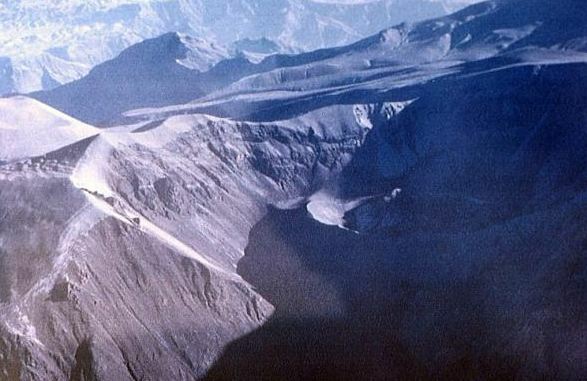 This famine was part of worldwide record cold winters and crop disruption, which geologists in 2008 linked to the 1600 volcanic eruption of Huaynaputina in Peru which has been classified as a VEI6 putting some 30 cubic kilometers of earth into the sky more than 8 miles high. Contemporary accounts state that some regions did not see the sun for two months. Without the sun, crops fail. We even see the impact in the English coinage it is impossible to determine the coinage during this crisis for coins were not dated until 1642 under Charles I. The standard of living dropped significantly during the final years of the reign of Elizabeth I (1558-1603). This led to a surge in homeless which had repercussions for the country as a whole. Elizabeth’s government set about trying to tackle this problem by introducing a series of Acts which acknowledged that the care of the poor was now the community’s responsibility and that each citizen had to play his part. In this respect, the Poor Laws were progressive for their time certainly established a framework which lasted for many years to come. 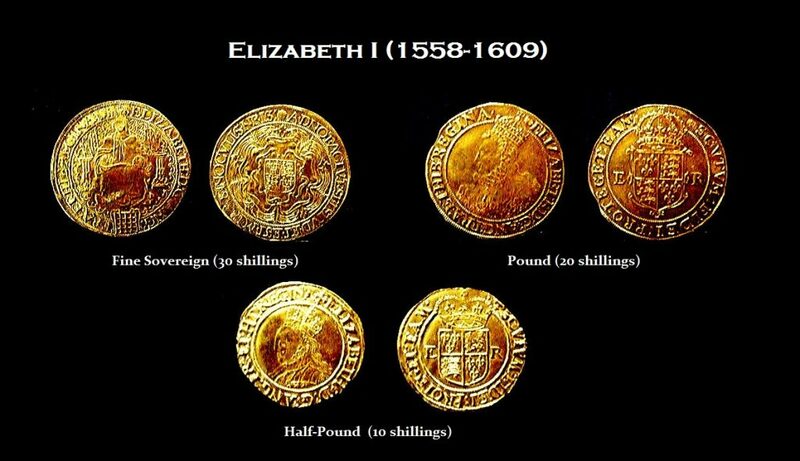 English coins were made in only gold or silver until 1613 when James I granted a patent to Lord Harrington to produce copper royal farthings. 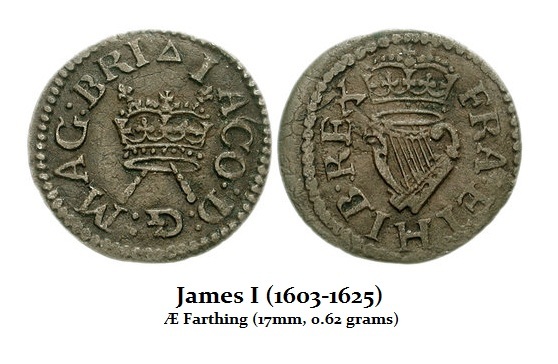 Coated with tin to look like silver, the so-called Harrington farthing was not worth the copper used to produce it and was rejected by people in England. The value of cash rose creating deflation. This is the first time we see bronze coins introduced in Britain which also coincide with this major volcanic eruption. While this eruption was in 1600, it certainly appears that it contributed to the hard times of the period. The weather turned cold into the end of that century. 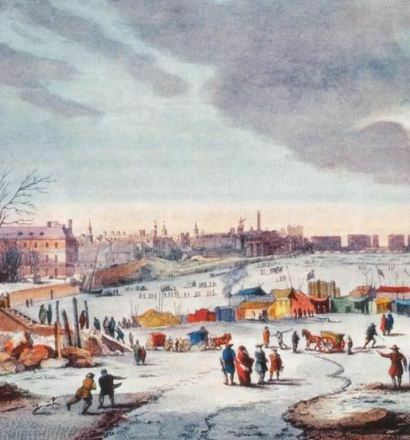 A detail from Frost Fair on the River Thames near the Temple Stairs in 1683–1684 depicts a festival taking place on the frozen river, one of a number of so-called Frost Fairs celebrated in London during exceptionally cold winters during the 17th century known as the Little Ice Age. This engraving, published in 1825, was based on an earlier painting by the seventeenth-century artist Thomas Wyke. The Chinese have also researched the impact of this event in Peru upon their climate and economy. The weather has drastically affected in China and the Korean Peninsula. The contemporary accounts have been examined revealing that historical evidence points to the conclusion that the eruption was followed by an abrupt cooling period and epidemic outbreaks in 1601 AD within both China and the Korean Peninsula. Just one major volcanic eruption can send food prices sky-high. According to our computer, we show food prices rising from 2020 into 2024. The computer is calculating everything and correlating eveny type of data we have assembled. Its forecasts are based upon that intense correlation.